The importance of mindfulness in life cannot be underestimated, especially in yoga class. Mindfulness helps yoga students enhance their ability to concentrate by learning how to focus only one thing while filtering other things. Mindfulness also provides yoga students with dispositions for understanding their emotions and how to manage them. And as a yoga teacher you have many opportunities to introduce these skills to your students. Cultivate mindfulness in them by teaching them to be aware of their own responses and emotions as well as how to pay attention. If you are stuck or you are feeling lost somewhere, find some motivation in these tried and true tips to creating a more mindful yoga class. With increasingly busy modern schedules, it is very hard for most people to find a moment to cool down and concentrate on the present. This is one the main reasons why a guided meditation is very important. If you are an experienced yoga teacher, you are probably already familiar with the positive impact a guided meditation can have on your students’ mental well-being as well as mindfulness. 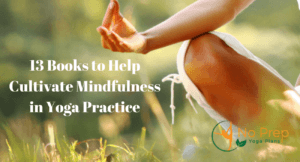 In addition, apart from just concentrating on mindfulness, as they concentrate on their breathing while doing different movements during the meditation, you can also teach them how to incorporate the different breathing techniques they have learned through yoga into their daily lives. Technically as a teacher, you are a leader. And leadership in an environment of many choices, where the power to build value lies with individuals, is about devotion and inspiration. Inspired students demonstrated 2 important attributes: Dedication and willingness to learn more. This makes them deeply accountable, more self-driven and fully responsible. Inspired students are also exceptionally productive. Read a short uplifting story, poem or quote at the beginning of the class or at end when your students are resting in savasana. Do this often and most of your students will adopt this technique. You can also make copies of the stories or quotes to hand out. 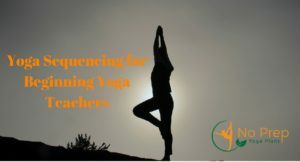 Apart from getting a rejuvenating workout, people come to your Yoga Class to feel inspired and renewed. It won’t hurt to develop your classes around a theme and then sequence it during your class. 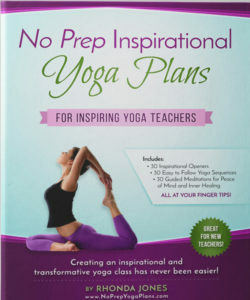 You can incorporate poses that help them experience and embody the lesson you are imparting. 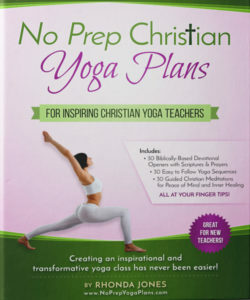 For instance if your theme is about “knowing your limit,” have them do warrior poses. There are thousands of themes and there is no wrong or right way to do it, so just be innovative. One great way to introduce mindfulness is exploring body sensations. For instance, get your students to eat something unpleasant and then something enjoyable. This will help them to explore the discomfort and then concentrate on savoring the present. You can also play with a shock ball and then talk about facing life’s fears. Hands-on adjustments without a student’s permission, is one of the main triggers of discomfort and apathy in yoga classes. Although this is common sense to most people, but time and gain you will see yoga teachers touching students for the sake of deep relaxation or alignment. You have nothing to lose, by asking for permission; in fact you stand to gain a lot. Also, remember to empower you students. Let them know they have the right to say no to your adjustments and touch. And the only wrong or right is what feels wrong or right for their bodies. If the body is saying no, don’t say yes and don’t force it. As a teacher, it’s only human to want to praise students who get it right. But then it is also important to think about what type of message this might be sending to other students. This doesn’t necessarily mean that you do away with praises, but consider giving shouts uniformly to deep breaths, good efforts as well as improvements. Whether you teach power or restorative, we all have a common mission: To help people learn how to live comfortably and well in the bodies. 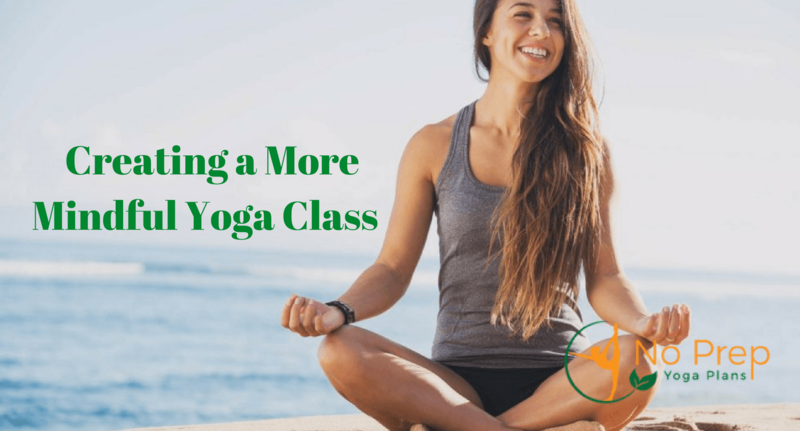 These important tips will help you more creatively and effectively create a more mindful yoga class .Don’t be surprised if they help build trust and loyalty with your students too as many people appreciate well executed classes!